I love dogs. Recent thrifting and yard sale adventures have provided me with a few new additions to my growing collection. I am always drawn to Scotties since those are what run our household. This little guy was a little roughed up, but still commanded my attention. He is quite heavy. 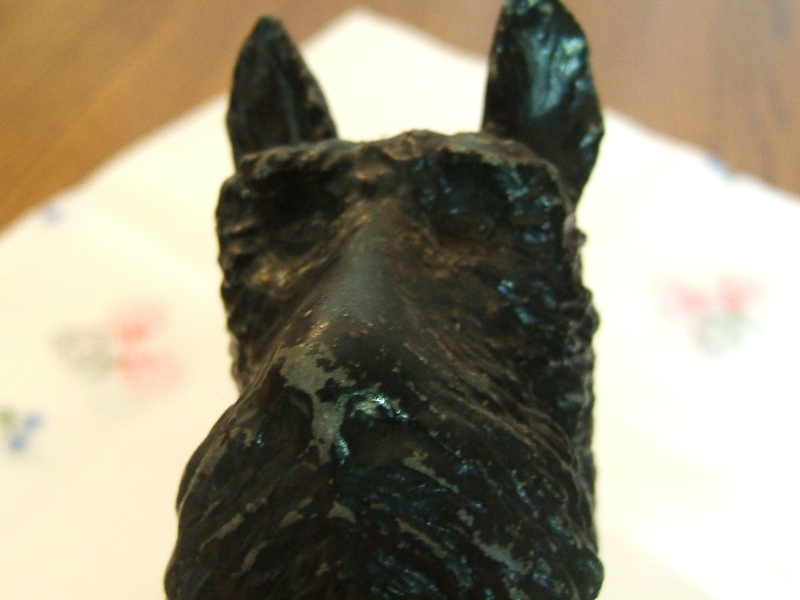 Sitting alongside the sweet scottie was a little Made In Japan black dog with barrel. I almost left him behind, but my thrifting friend “S” petitioned for him so he came along as well. 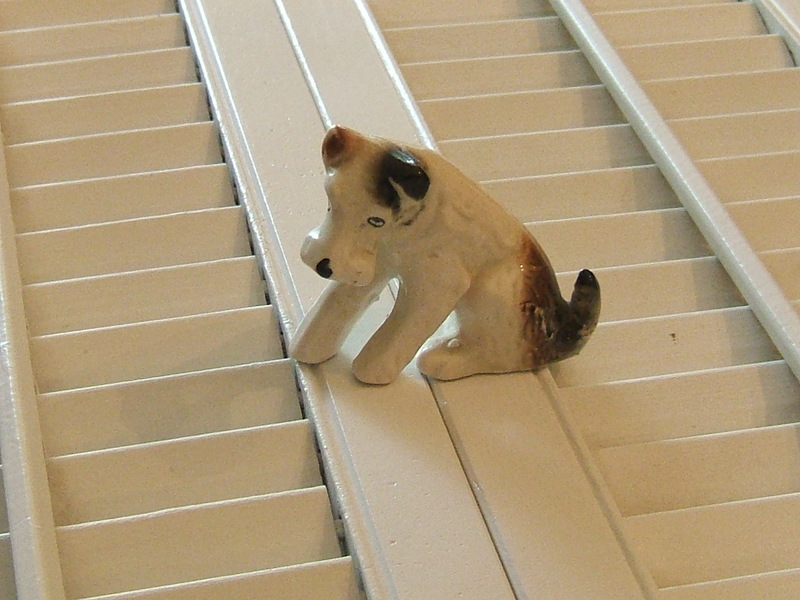 Rounding out the trio I found at the same location is this classic little dog figure. He reminds me somewhat of Asta who played in The Thin Man movies. At a yard sale, I found this pair. Aren’t they so sweet? Even their backs are adorable. I paid three dollars or less for each of these sweet dog figures. Aren’t they just the cutest? 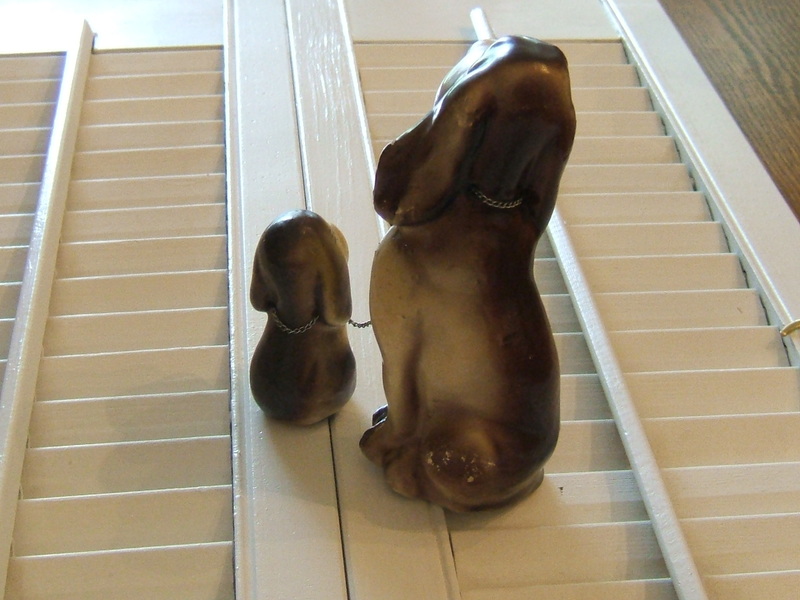 This entry was posted in Garage Sales, Scotties, Uncategorized, Vintage, Yard Sales. Bookmark the permalink. These are really cute! I especially like the pair of dogs. Oh those are so sweet, I am always on the hunt for anything relating to beagles but they seem hard to come by. 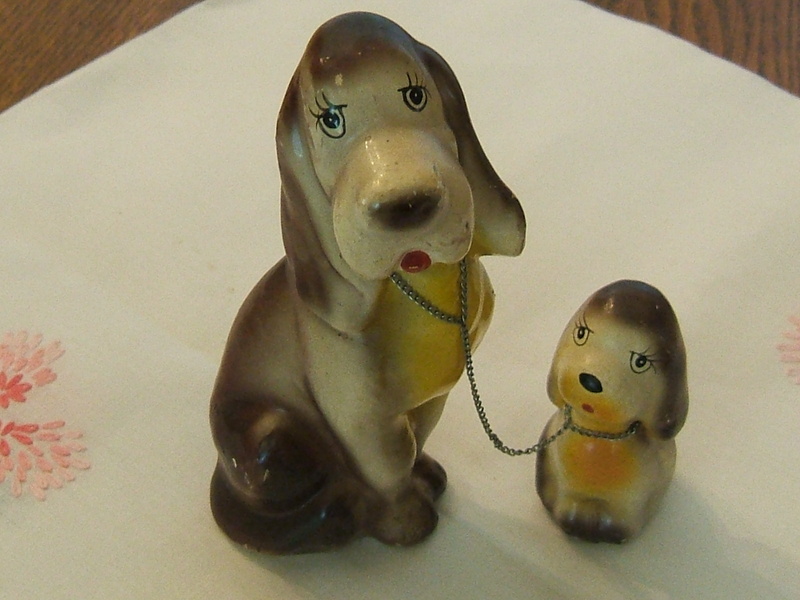 I love the yard sale pair, they kind of remind me of some we had in our house when I was a child. Very cute! When I have my own house I’m sure it will be covered in cute knick knacks like these. Cute little fellows. 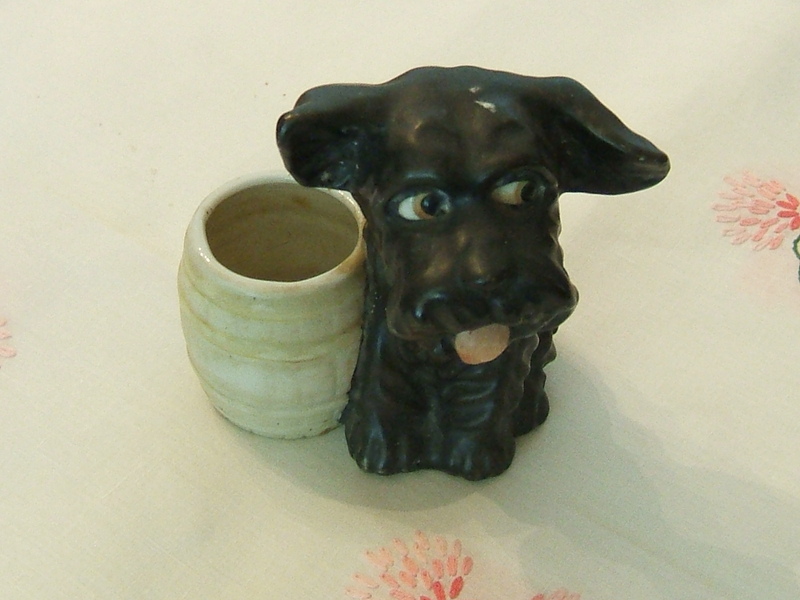 I like the black dog planter, the expression on its face is wonderful. So cute…I just want to give them all a doggie treat! Cute dogs. Do you keep your collection on display? I have a couple of little wooden display shelves I’ve picked up at yard sales. I need to clean them up a bit and once I do, I think one or both will be filled with little doggie figures. Those are sweet! I like the basset hound pair the best, for sure! ADORABLE!! 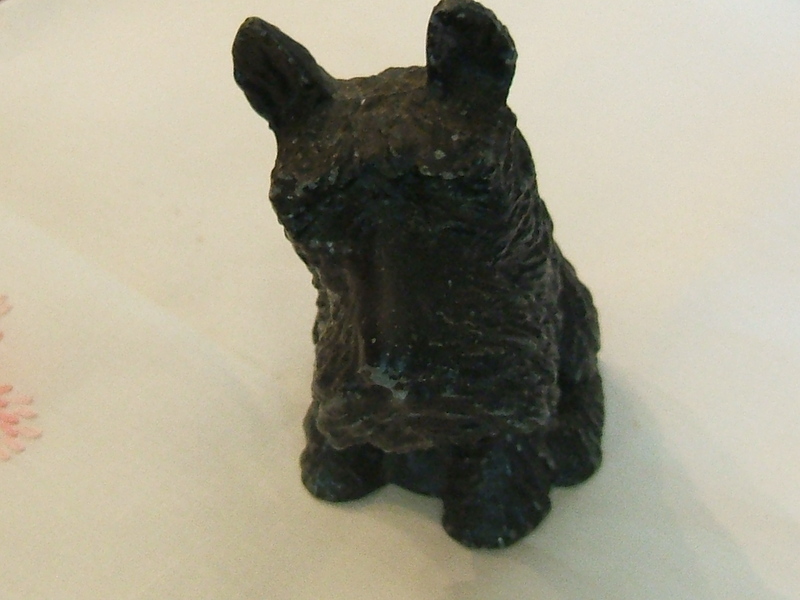 I especially love the two that are ‘leashed’ together and I think that big, dark Scotty is great with the ‘patina’! They’re so lucky to have a new home with you. I love them all, especially the Scottie. I would have grabbed them in an instant. Too cute!! Your thrifting friend “s” is much like my friend “d” – she talks me into a lot of things I hesitate about. Once I get them home I am glad she did talk me into it. 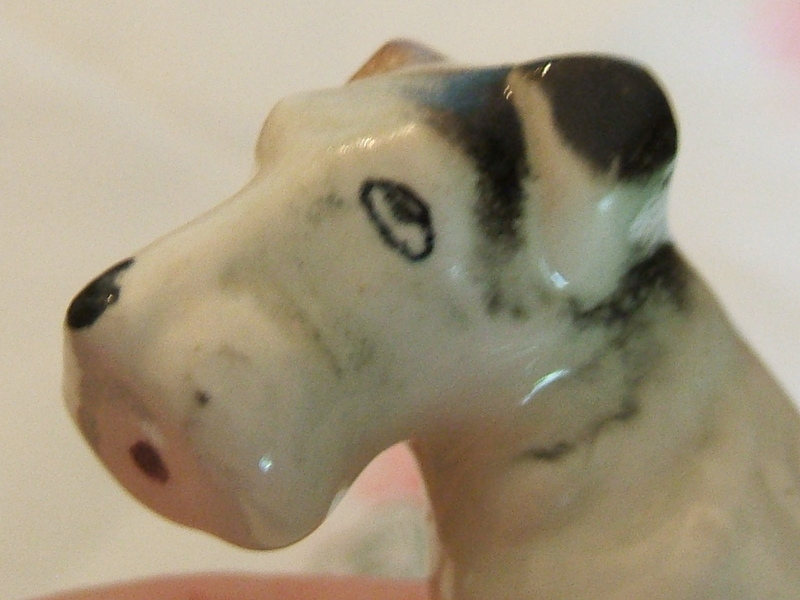 Usually I am drawn to dog and cat figures – this week it has been skulls! I love all your sweet scotties, but the mother and puppy with the chain is sweet. Thanks so much for your comments on my fall tablescape. I see scotties all the time maybe I will send you one. I hope you have a great weekend. Tammy, those are so cute!! I love the two with the chain…too cute! Thanks for stopping by! I hope you have a great weekend! 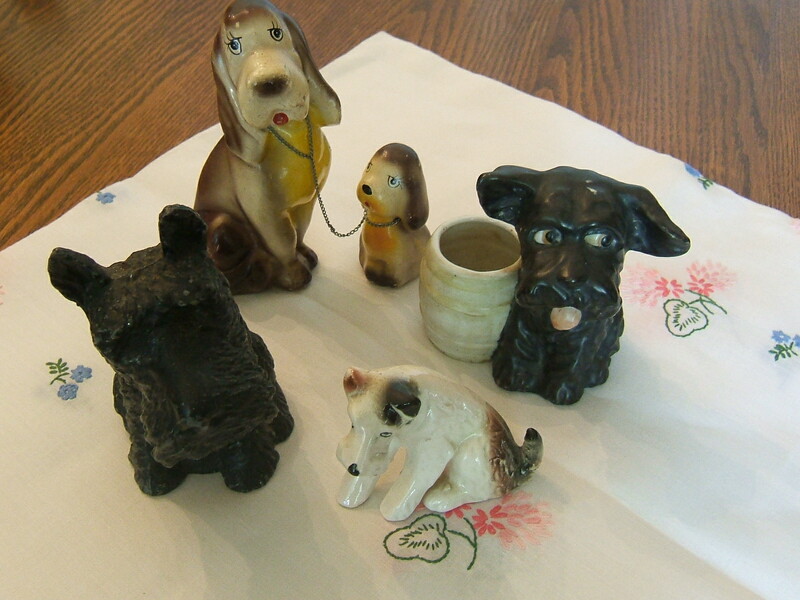 How cute your vintage puppies are Tammy!Thank you for joining TTF and I am so sorry I am so late in visiting this week!